Alvin 35 mm photograph taken in 1991 of the Mussel Bed area. 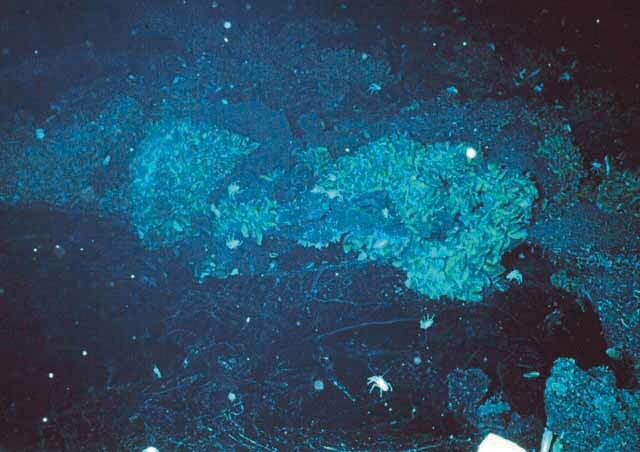 Photograph showing the Mussel Bed site just after or during the 1991 eruption with the new, (black) lava flow in the foreground of the photo lapping onto older lobate flows covered with mussels. Distance across bottom of photo is ~4 m.